However, Messenger was once part of the Facebook apps for mobile – but then it got pulled out, thus forcing people to install the standalone Messenger app alongside the main one. So, in the future, there’s still a slim chance we’ll see something like that happen on the Web too. For now, though, you can still access Messenger on Facebook.com, as well as at the new standalone address. If you go the latter route, your Messenger conversations won’t be interrupted by any other Facebook stuff, which for some people might be a blessing. 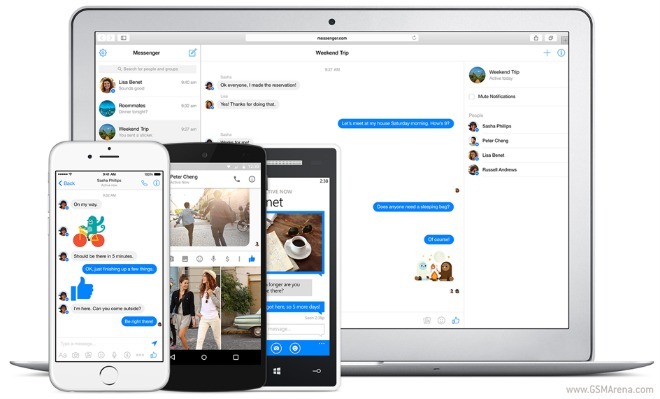 Messenger.com is all about direct communication with your friends, undisturbed by anything else, while Facebook.com is, well, a lot of things to a lot of people. Messenger.com will support both the recently announced app platform for the service, as well as its easy payments feature. For now, the website is available to English-speaking users worldwide. More languages will be added in the near future.